If you are lucky enough to get the chance to visit the spellbinding county of Peru, you will want to sit down and plan which sites you to see before you go. The reason for this is that Peru is a country steeped in culture and history and containing many natural wonders. Therefore if you don’t plan your trip out, you may inadvertently end up missing a once in a lifetime experience. Luckily, to help you with this puzzle we have come up with the guide below that lists the most spectacular places you should prioritize; when it comes to your Peruvian trip. Peru is host to one of the top historical site in the entire world, the walled citadel of Machu Picchu. Machu Picchu is a fortified city that is located on a plateau high in the Andes mountain range. It is surrounded by the Urubamba River Valley and is believed to date back to the time of the Incas, which could be as early as 500 BC! Of course, because of its reasonably isolated location, it is not the most accessible site to reach. Having said that there are a few methods, you can consider. 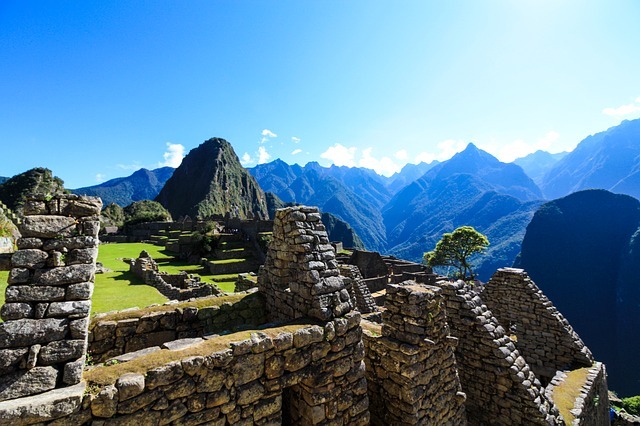 The first is to travel an Inca trail to Machu Picchu, something that you must do as part of an organized hike or tour because the terrain in that area can be dangerous for the uninitiated. The second option is to get the train from Cusco to Aguas Calientes, a town situated a few miles from Machu Picchu. It is possible to make this trip in a single day if you set out early, but as the train journey is over three hours long many people prefer to stay overnight in Aguas Calientes and then have longer to spend on the plateau, a places that is often associated with rumors of long lost Inca gold. If you are looking for a cultural experience, then look no further than the Cusco a place renowned as the cultural centre of South America. There you can visit Coricancha, a temple that was said to have floors covered with gold, as well as the megaliths at the labyrinthine temple of Qenko. Of course, there are more modern cultural sites to see in Cusco as well including the gothic and sumptuous Cathedral Basilica of Our Lady of the Assumption, and the nearby bustling Plaza De Armas. Although, it is also worth remembering that many of Peru’s delights are ones that are entirely created by nature and not man. In fact, if you are looking for expansive vistas and breathtaking landscapes you can do no better than to visit Ausangate, southeast of Cusco, famed for its rainbow mountain and lagoons. While in Huascarán National Park in the west of Peru you will find the world famous Andean condor, spectacled bear, and even the odd puma or too. Not that the latter are easy to spot as they are well camouflaged and waiting for their prey. Still Huascarán is one beautiful site that you would be wise to not miss on your Peruvian travels.